Personal Information You Give Us. We may collect personal information from you in a variety of ways. Personal information is information that can be used to identify you. Personal information may include, without limitation: (i) contact information, such as your name, email address, and physical address; (ii) other information we may request prior to your downloading from or registering on the Site. If you communicate with us by email or otherwise, complete online forms, or otherwise interact with or use the features included in our Services, we may collect and store any information you provide in such communications. Disclosure of Information. Brash Books will not sell your personal information to any third parties. We may, however, disclose your personal information collected to trusted affiliates and business partners as necessary to provide our Services and for the specific purposes for which the information was collected. We may disclose personal information at the request of law enforcement or government agencies or in response to subpoenas, court orders or other legal process, to establish, protect or exercise Brash Books’ legal or other rights or to defend against a legal claim or as otherwise required or allowed by law. We may disclose personal information in order to protect the rights, property or safety of a User or any other person. 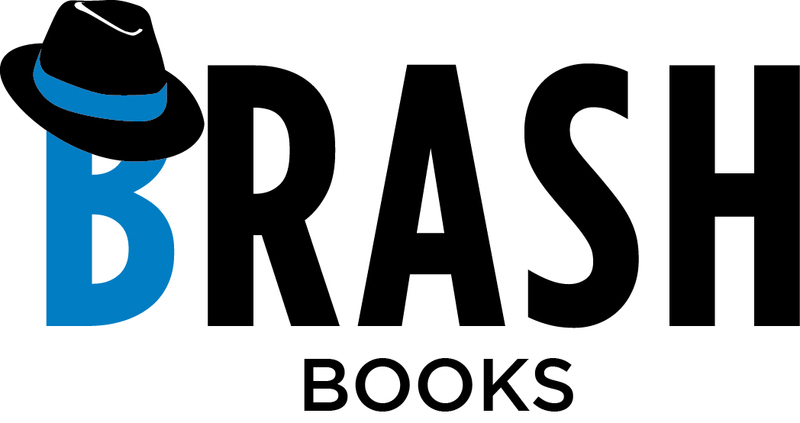 Brash Books may disclose personal information to investigate or prevent a violation by you of any contractual or other relationship with Brash Books or your illegal or harmful activity. Brash Books may also disclose non-personal, aggregate, anonymous data in a de-identified format based on information collected from Users to investors and potential partners. Finally, Brash Books may disclose or transfer your personal information in a sale or potential sale of our assets or business or a merger, consolidation or other reorganization of our business. Links to Third Party Websites. Please note that our Services may contain links to other websites. These linked sites may not be operated or controlled by Brash Books, and we are not responsible for the privacy practices of these or any other websites, and you access these websites entirely at your own risk. Brash Books recommends that you review the privacy practices of any other websites that you choose to visit. Privacy Protection for Children. In compliance with the Children’s Online Privacy Protection Act (COPPA), We do not knowingly provide access to the Service to persons under the age of thirteen (13). If we learn that any User of the Services is under the age of thirteen (13), we will take appropriate steps to remove that User’s information from our records and we will restrict that individual from future access to the Services. Correcting, Updating, Accessing, or Removing Personal Information. If your personal information changes, or if you no longer want to receive information from Brash Books, you can correct, update or remove your previously-provided personal information. This can be done by emailing a request to us at brashbooks@gmail.com. You may also request access to personal information collected by us by sending a request to us at brashbooks@gmail.com.